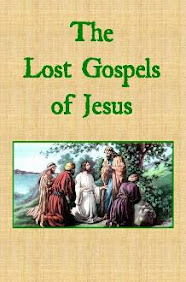 In ancient times - during Jesus' time - people did not have last names as we do today. It is thus not as though Jesus' last name was "Christ" as some translations assume. Rather, one's first name was typically followed with a notable attribute, such as the village they were from or what their father's first name was. Accordingly, the term Χριστός (Christos) refers to "the Anointed" or "the Messiah" or "the Christ" - all meaning someone who was chosen or anointed by the Supreme Being - and thus represents the Supreme Being. This is consistent with both Strong's and Thayer's lexicon. The Greek root of the word Χριστός (Christos) is χρίω - which literally means, to anoint, or in the derived lexicon, to be blessed by the Supreme Being. Thus the word Χριστός (Christos) means one who is anointed. We also find that the etymology of Χριστός (Christos) is derived from the Holy Name of the Supreme Being. Simply defining the word as "anointed" would leave it as an adjective - a poor use of grammar. As such, the term Ἰησοῦ Χριστοῦ (Iēsous Christos) would be appropriately translated to "Jesus Anointed by God" or "Jesus the Anointed of God." This could also certainly be abbreviated to "the Anointed" as it was likely done. However, this would not present the full accuracy of the term Χριστός (Christos). This is also a phrase used in the Old Testament - as service to God was said to be done "in the Name of the Lord" - with "the Lord" being translated from the word יְהֹוָה (Yĕhovah) - the Holy Name of Jehovah. Thus we can conclude that the Anointed of God is a person who has become God's representative. Such a person is a loving servant of God, someone God has empowered to represent Him and teach others. We can see that God considered all the Prophets as anointed. He considered the priests to be anointed. He considered those who He sent to teach others as anointed. We can see here that David is referring to himself as “Your anointed one” because the Anointed of God is a role, title, and position, of being God’s representative.